Two Great Events on Aviles Street in December! Amiro = Abundance! The name Amiro derives from the Timucuan word meaning much, many, or plenty. Since the holidays are a time of gratitude and giving, it’s only fitting that Amiro Art & Found be filled with an abundance of artistic and unique gift items for the December 7 First Friday Art Walk. Their selection of holiday gifts, both functional and whimsical, will include jewelry, mosaic creations, pottery, sculptures, vintage finds, paintings, and mixed media collages. Among the many new offerings will be porcelain mugs by Betsey Carter, knit scarves by Ejo Fox, and holiday cards by Nancy Hamlin-Vogler. Resident gallery artists Ginny Bullard, Estella Fransbergen, Deane Kellogg, Wendy Mandel McDaniel, Jan Tomlinson Master, and Marcia Myrick Siany have also gotten into the spirit of the holidays and will be showcasing a variety of specially created holiday gift items. Amiro=Abundance! will be held during the December 7th First Friday Art Walk from 5:00p.m. until 9:00p.m. at Amiro located at 9C Aviles Street in Saint Augustine. .
Scroll down to get some ideas for your holdiay gift giving and to read about Art on Aviles, A Holiday Trunk Show to be held Saturday, December 8th from 1-4p.m. Get your holiday shopping done as you support small business owners and artisans during Art on Aviles, a local holiday shopping event to be held Saturday, December 8th from 1:00p.m. to 4:00p.m.. Five Aviles Street galleries including Plum Gallery, Aviles Gallery, Worley Faver Pottery Studio and Galley, Amiro Art & Found, and Natural Reflections Glass will offer hand crafted treasures during this special street-wide Holiday Trunk Show. 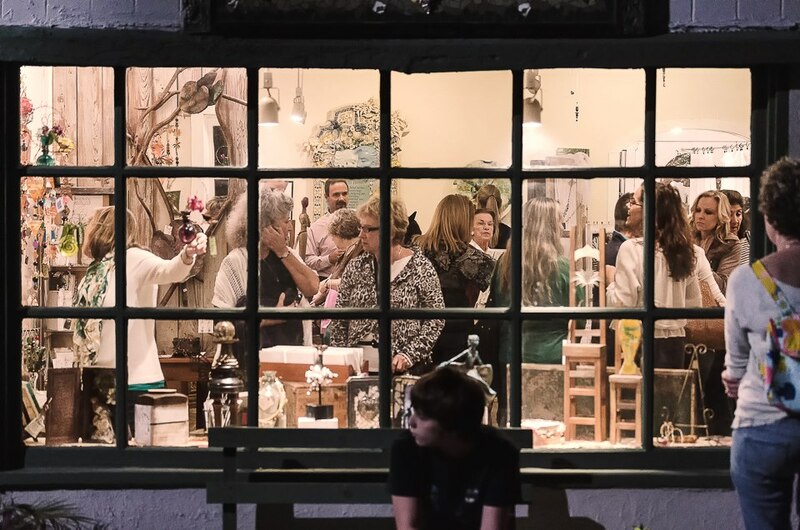 Enjoy the Old world charm of the nation’s oldest street as you purchase unique and one of-a-kind gifts created by the talented artists of Saint Augustine. Shopping doesn’t have to be a hectic and hurried affair. Stop to take a break and recharge at one of the many great Aviles Street cafes. Each of the five galleries will provide light holiday refreshments and feature a selection of unique distinctive works. Start your shopping at Natural Reflections Glass gallery. They will be open at their new holiday season location on the corner of King Street and Aviles Street. Enjoy holiday treats as you cross off names on your gift list when you purchase their hand blown glass art. Plum Gallery will be highlighting Swamp Flower Designs, creative treasures by Pamela Fausset. Sample their holiday offering of Champagne and chocolate as you view the wide variety of jewelry on display. Next door at Amiro Art & Found Gallery, their Amiro=Abundance show continues with the addition of wearable art by Ejo Fox. Meet Fox and peruse her hand loomed scarves and unique men’s ties as you sip on holiday teas provided by The Spice and Tea Exchange. 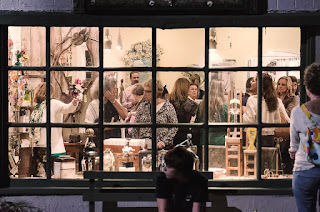 "Teas the Season to eat, drink and buy art on the oldest street in St. Augustine!” says Amiro co-owner, Ginny Bullard. Walk a little farther down the street to Worley Faver Pottery Studio and Gallery where they will be highlighting the fine art photography printed on canvas of Georgia Gayle Nick. Sample their holiday punch and cookies as you view Nick’s elegantly framed small images of favorite St. Augustine landmarks and streets. Complete your holiday list at Aviles Gallery where they will be featuring their newest artist, Rick McAllister, and his distinguished photographs of botanicals. Aviles Gallery will also be offering a tempting variety of holiday cookies, and the music of Cuban guitarist Luis Mario Peral.